They’re here folks. 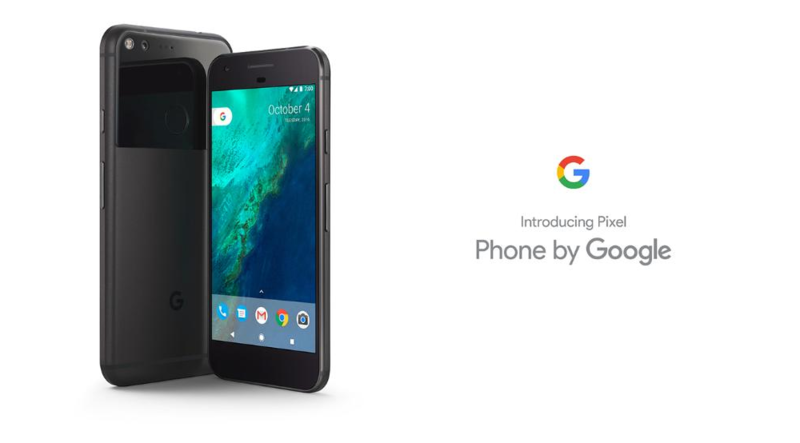 Google’s re-branded Pixel and Pixel XL phones have finally been launched. They’ve been a consistent part of the rumor mill, so today’s launch is more or less a confirmation of what has surfaced previously. The devices feature a rather interesting design and come with high price tags. There’s no stock Android this time either. Google’s launched its custom version of Nougat. This will improve user functionality and blend it seamlessly with the devices. To find out more about the devices head over below. The core component of any smartphone is its hardware specifications. The Pixel and Pixel XL aren’t underhanded in this department by any regard. Qualcomm’s upgraded Snapdragon 821 will power both the devices. The Snapdragon 821 features two pairs of Kryo cores, clocked at 2.34 and 2.19GHz. The Adreno 530 GPU for the 821 is clocked at 653Mhz, which is also slightly higher than the one found on the 820. The Pixel and Pixel XL also feature 4GB of RAM on board. The official numbers for the Snapdragon 821 claim a 10% performance and 5% power efficiency increases over the 820. Qualcomm also claims that its latest processor features 10% faster boot speed and 10% faster app loads. The Pixel and Pixel XL seem all set to lead the way for 2016 flagships in terms of performance. We’re more eager to see how well Android Nougat blends in with the 821, as this will be the determining factor for overall performance. On the camera side, we get to see rear cameras of 12MP and front cameras of 8MP for the Pixel and Pixel XL. Pixel sizes stand at 1.55µm with f/2.0 aperture. The Snapdragon 821 plays a part here as well. Qualcomm’s latest processor features dual phase auto detection, shorter auto-focus time and increased auto-focus range. Cameras and ISPs see a much greater focus these days, especially as Apple launched a custom ISP for the iPhone 7 and iPhone 7 Plus. 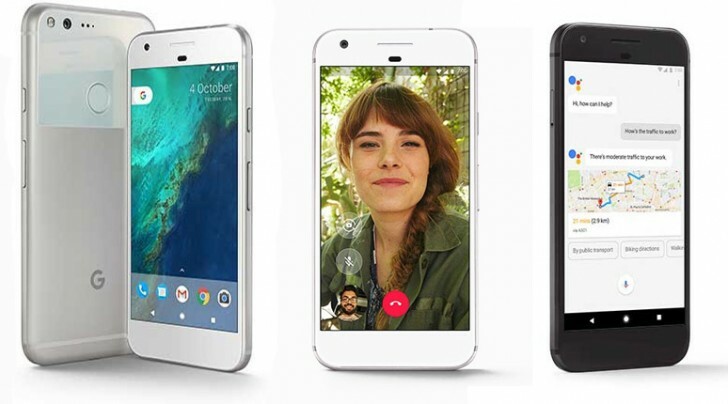 The Google Pixel features a 5 inch, 1080p display. The Pixel XL on the other hand comes with a 5.5 inch, AMOLED display. The resolution for the device stands at 1440×2560. Battery capacities for the pair are 2770 and 3450mAh. These should be adequate for both the displays. Talking battery, the Pixel lineup promises up to seven hours of battery life in just 15 minutes. It’s also refreshing to see Google stick with modest resolutions and not join the specification race in this regard. Now, let’s move towards what really makes the Pixel and Pixel XL different from Nexus launches. The devices feature Google’s Daydream platform, which was shown off at I/O earlier this year. The Pixel lineup’s hallmark should be the Google Assistant – which gets no points for nomenclature. It’s Assistant that took the show today, as Google’s latest feature really doesn’t need you to type anything. It’s a ‘personal Google’ for everyone as Assistant is programmed to tune itself with your specific preferences. Both the devices come with a rather simple design save the semi glass rear which houses the fingerprint sensor. There’s no camera bump either – a jab that Google was eager to take at Apple today. Three color options will be available for the Pixel and Pixel XL. These will be Quite Black, Really Blue and Very Silver. Pre-orders start today, with a starting price of $649 or $27/month. A nice offer is free photo and video storage for Pixel users. Storage sizes stand at 32 and 128GB. Google’s also played the software update card intelligently. The Pixel and Pixel XL will download latest Android updates on a separate partition. When this is complete, you’ll simply switch over to this partition. This marks the end of our launch coverage of the Pixel and Pixel XL. Thoughts? Let us know what you think in the comments section below and stay tuned for the latest.